But there are downsides to her new power that entangle her in a dangerous web of emotions, appearances, and alliances. Even as she plays to the attractions of Hodran, a rich nobleman who wants to aid her cause, she is drawn to Mikel, a loyalist farmer who hates the rebellion but just might be winning her heart. When Trzl realizes she is in too deep and seeks refuge near the chilling Cliffs of Marek, she isn't prepared to meet one of her old rivals and rekindle a political game she thought she'd won, but the dark mess of betrayal and lies they've created propel them both into a dangerous standoff. And this time, the stakes are far too high. 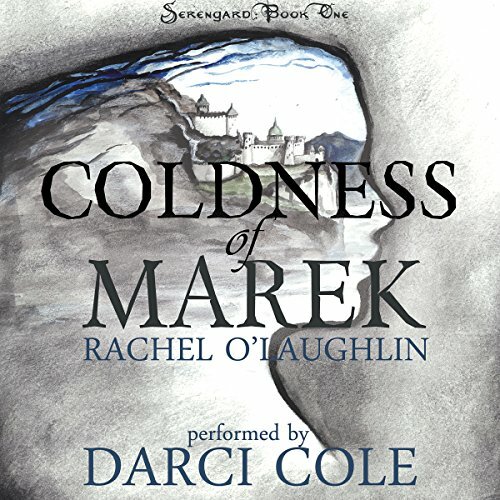 Coldness of Marek is the first in the four-book Serengard series. The book was ok. It started kind of slow and I zoned out while listening quite a bit. But it picked up and I kind of want to know what happens to the characters, but the next book isn't on Audible.